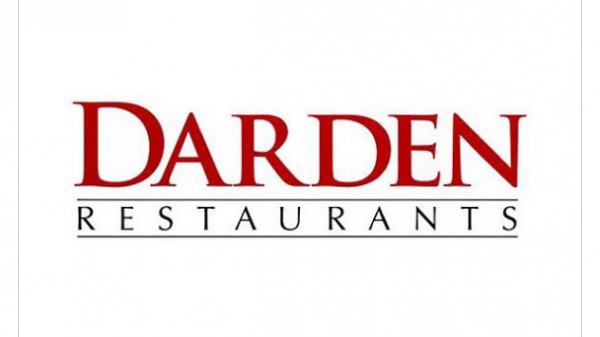 Is Darden Restaurants a Good Stock to Buy? Darden Restaurants (NYSE:DRI), which operates a number of restaurant brands- most notably Red Lobster, Olive Garden, Longhorn Steakhouse, and the Capital Grille, giving it a variety of culinary styles- is one of the ten most popular restaurant stocks among hedge funds. Both Diamondback Capital and Scopus Asset Management took new positions in DRI in the first three months of 2012, with Diamondback buying 250,000 shares and Scopus, managed by Alexander Mitchell, buying 200,000 (review the rest of Diamondback’s portfolio and see what else Scopus thinks is a good investment). All other hedge funds with an investment in Darden reported a position value of under $10 million. The broad, though shallow, interest in Darden among hedge funds likely comes from the stock’s prospects as a value and an income investment but a focus on brands that are not particularly exciting. DRI’s dividend yield is 3.9% after recent increases, which in a questionable environment for stocks allows an investor to achieve some measure of stability. The trailing price-to-earnings ratio of 14 implies that the stock is unlikely to fall in price by very much unless there are significant changes to the company’s business prospects; while sit-down restaurants are at risk of suffering from poor macro conditions and consumer spending, even a new recession is unlikely to collapse Darden’s brands. In fact, over the last five years, covering a severe financial crisis and a weak recovery marked by consumer deleveraging, DRI has risen about 20% while the S&P 500 remains in the red. In the company’s fiscal year ending May 2012, earnings came in at $1.15 per share, which was a 15% increase from the last fiscal year. Over the course of the year, revenues were up at all three core brands, though this was generally driven by growth in number of locations as both Olive Garden and Red Lobster saw negative growth in same-location sales. Darden reported an aggressive expansion plan for fiscal year 2012, planning to open at least 100 new net locations, which should generate further revenue growth but is a strange move for a company whose brands seem fairly saturated and which may be better advised to focus on promoting their existing locations. Darden is best compared to other sit-down restaurants, such as Brinker International (NYSE:EAT). Brinker owns the Chili’s brand and is a similar story to DRI. Its dividend is lower but its trailing P/E is 18 despite growing its revenue and earnings, and the stock is up about 20% over the past five years. Chili’s also must contend with the increasing popularity of Mexican food in the United States- is it an opportunity for growth, or a magnet for innovative competitors such as Chipotle (NYSE:CMG) who could also cut into Chili’s business? Another $1 billion-plus market cap table-or-a-booth restaurant which can be compared to Darden is the Cheesecake Factory (NASDAQ:CAKE). CAKE is up 10% this year but the growth of its business has slowed recently, and it trades at a similar P/E to EAT with no dividend. We believe that the better-priced DRI is likely a better buy than its peers. We like that it was able to grow its earnings by a decent rate and we are content to receive a 3.9% dividend while the market catches up with Darden’s decent growth numbers.